NBC has renewed “Friday Night Lights” for two more seasons, which will run until 2010-11. The NBC arrangement with DirecTV, in which the satellite TV provider picks up some of the production costs in exchange for airing the season first on satellite, is expected to continue. The show will air in both standard and high-definition (HD). “Friday Night Lights” is a critically acclaimed TV series about a high school football team called the Dillon Panthers from the now fictional town of Dillon, Texas. The show addresses happenings in Middle America, focusing on the team’s coach, players and students who make up the small town. 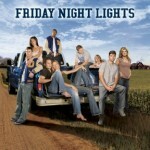 Seasons one through three of Friday Night Lights are available on DVD from Amazon.com. WHY IS THIS “CRITICALLY ACCLAIMED” SHOW BEING MOVED TO DIRECT-TV WHERE ALL LOT OF THE VIEWERS WHO MADE IT “CRITICALY ACCLAIMED” CANNOT WATCH IT?